The FBA is delighted to announce we have become an official sponsor of Servette FC Chênois Féminin. Women’s football development has been part of our key focus areas since day one, and so to be able to support an ambitious team, which furthermore is from our own city, is an exciting moment in our own development. The agreement is for one season and will see The FBA logo on the sleeve of the team’s uniforms. In addition, both parties will collaborate to promote The FBA’s Professional Master in Football Business program through social media and other events. 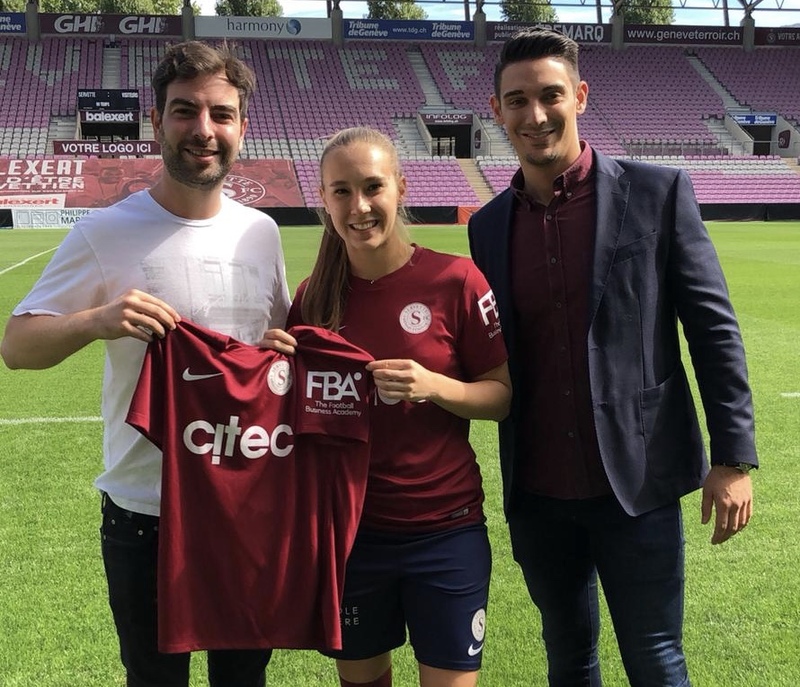 Also as part of the agreement The FBA will have the pleasure of welcoming Nicole Regnier, who plays for Servette FCCF and is a Common Goal member, to the master program, giving her a unique opportunity to learn about the business side of football. Servette FC Chênois Féminin was founded in 2017 and plays in Switzerland’s top-tier division of women’s football, the Nationalliga A, where they are currently in 3rd position. The club’s objective is to develop women’s football in the Geneva region by encouraging female players from all levels to practice whilst supporting them through a dedicated structure to allow for their progression. The Football Business Academy is a Swiss-based high level international educational institution which was created to professionalize the management of the football industry and facilitate the insertion of qualified professionals and future leaders in the game. Its flagship programme, a Professional Master in Football Business, has been co-developed with international football industry experts from around the world around one foremost objective: to provide candidates with all the necessary tools and an optimal learning environment in order to succeed in this passionate and dynamic industry. Other partners of The FBA include Benfica, Olympique Lyonnais, Soccerex, Girona FC, ESSMA, and Common Goal.